For about thirty years now, Urinary tract reconstruction has been a popular procedure for patients undergoing cystectomy. A cystectomy refers to the surgical removal of the bladder; often times as part of treatment for bladder cancer. After bladder removal, many patients are left simply with a urinary diversion; a procedure where the ureters are attached to a portion of small intestine (terminal ileum) which is then exposed outside the abdomen as a stoma. Urine then would flow from the kidneys, through the ureters and finally through the ileal portion and expelled. This is called a urinary diversion. An Ileal Orthotopic Neobladder, a type of urinary diversion, involves the removal of the bladder and a new urine collection point is created in the same area. This reservoir pouch is made from a piece of ileum (a portion of the small intestine) and is attached to the distal ureters, who’s duty it is to drain urine into the newly created ileal pouch. Lastly, the Neobladder is connected to the end portion of the urethra from which urine is expelled. The procedure has allowed the creation of a near normal lower urinary system. Since the Neobladder is actually part of your small intestine, it will produce mucus like it normally would. As a result, catheter irrigation is necessary to prevent clogging. Your doctor or nurse will instruct you on how to self perform this important step before being discharged from the hospital and will continue at home. Catheter irrigation is usually performed every six hours and continues until advised otherwise by your doctor. An orthotopic neobladder will not function exactly like your original natural bladder as it needs frequent emptying and must never be allowed to distend with urine because it can lead to a difficult and incomplete emptying afterwards. Urine expulsion for an orthotopic neobladder requires the use of abdominal muscles to assist in voiding. Patients are taught how the muscles of the external sphincter are relaxed prior to straining and after. It is important to empty the bladder completely and to achieve this, men are advised to sit when urinating during the initial recovery period. Complete voiding will aid in the prophylaxis of an over-distended bladder and is considered of the utmost importance to prevent urinary tract infections and kidney damage. While incontinence may initially become a nuisance especially at night, it in fact improves over time and more hastily if you add Kegels exercises as part of your road to recovery. For some men and women, complete bladder emptying is too difficult so intermittent catheterization becomes necessary with varying degrees of frequency, depending on a patient to patient basis and determined by a physician or nurse. There are several excellent reasons to consider an Orthotopic Neobladder for many folks going through a cytectomy. 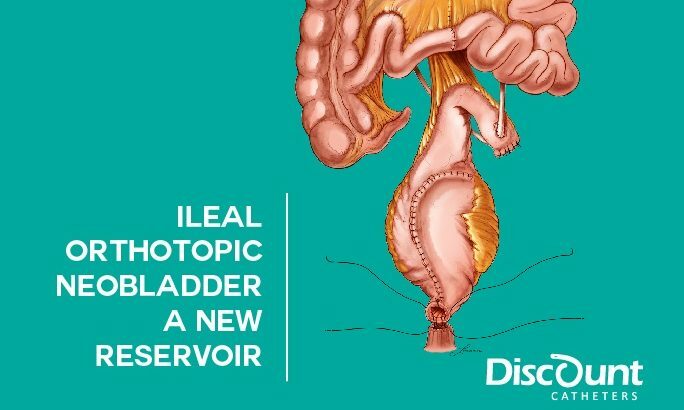 The emotional burden that comes with an ostomy procedure for instance, has led many surgeons and patients to an Ileal Orthotopic Neobladder as a great alternative. A healthier self image, increased and sustained confidence in a social setting and normalized sexuality are all usually compromised with other solutions. Improvement in these personal and emotional arenas in life makes an Orthotopic Neobladder the procedure of choice for many a patient in need of a urinary diversion due to cystectomy.